The SFPD crime lab scandal that rocked the department has ended with a whimper, not a bang, as the California Attorney General’s office has decided not to prosecute Deborah Madden, a former lab employee who was linked to missing drugs in at least six cases in the latter part of 2009, causing SF prosecutors to drop hundreds of drug cases. Madden, 60, of San Mateo, admitted to taking cocaine about five times from evidence she was testing at the lab between October and December 2009, but she insisted she only removed small amounts that spilled during the process. She went on leave from the department in December and officially retired March 1. 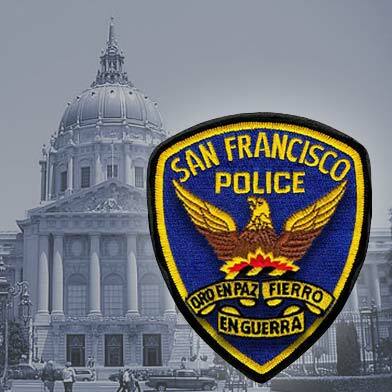 SFPD’s investigation into the incident concluded in June, but it apparently wasn’t enough for the AG’s office, as they ABC7 reports they felt there was not enough evidence to prosecute the former lab tech. “After an exhaustive evaluation, our lawyers determined that no additional charges would be filed,” said Christine Gasparak, spokesperson for Attorney General Jerry Brown told CBS5. Madden’s attorney, Paul Demeester agrees, saying that “She admitted to five times having used residue,” but that she is “very happy” to hear she won’t be facing charges in this case. Madden’s not completely off the hook, however, as she’s still facing unrelated charges for cocaine possession in San Mateo County.